Having a stylish green space to look out over from your kitchen or living room window is one thing, but if you want your garden to be a functional space where you and your family can spend time relaxing in the sun, you’ll need to make sure you have the right outdoor accessories. If you’re looking for useful extras that are guaranteed to improve your garden, it’s worth considering the following products. A table and chairs set are essential if you want to be able to dine alfresco or enjoy drinks with your family and friends in your garden. When you’re selecting your set, make sure you opt for something stylish, comfortable and durable. 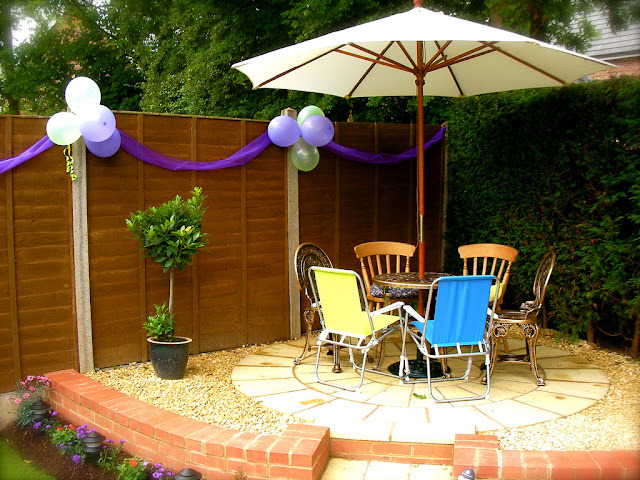 There are lots of different materials to choose from, including wood, wrought iron, plastic and rattan. A parasol is a must too. Offering protection from scorching sun or sudden downpours of rain, they can help you to make the most of your garden. Look out for a design that is stable and won’t blow over in a strong gust of wind, and make sure it is simple to open and close too. Pay attention to the size of the parasol as well. Ideally, it will offer enough shade to shelter everyone who will eat and drink around your table. On a sunny summer’s afternoon, what could be better than lounging in your garden and enjoying some rest and relaxation? So that you can do this in style, invest in some reclining loungers or a swing seat. Being able to sink into these comfortable furnishings can help you to unwind in the warm weather. 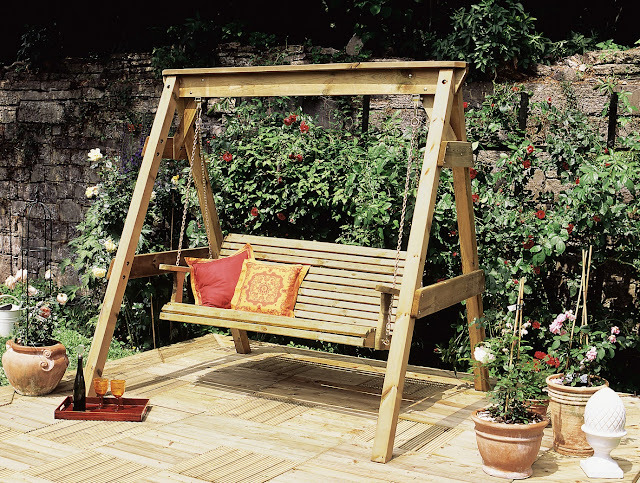 Also, swing seats have a traditional charm and can bring added character to your outdoor area. If you don’t already have one, it’s worth adding a shed to your garden too. These handy storage solutions make it much easier keep your outside space tidy. Also, you can protect your outdoor furniture by housing it in your shed over winter. 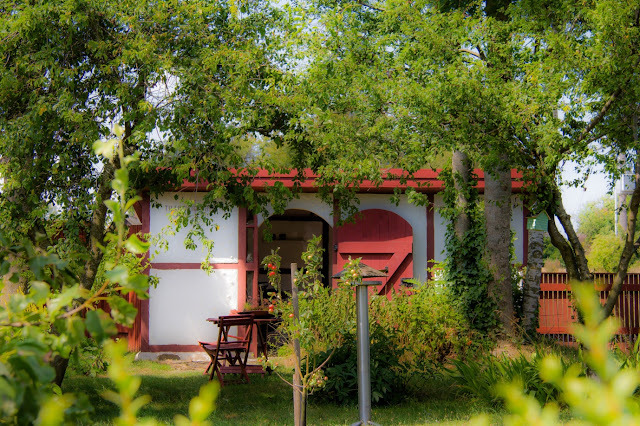 You can take your pick from a range of different designs, including timber and metal sheds. Just make sure the style you opt for compliments the overall look of your garden. Retailers like Tesco stock every style, shape and size you could want. You don’t have to spend much money to get your hands on garden accessories like these, but they can make a big difference to the look and feel of your outdoor space. As well as making the most of your garden this summer, you’ll be able to enjoy them for years to come. Images by alexanderedward12, Ofer El-Hashahar and Susanne Nilsson used under the Creative Commons License. A few of our information about the Article Accessories that are guaranteed to improve your garden, Read Now, may be beneficial in the form infirasi to create a beautiful home and comfortable for your family and those you love. No've You've finished reading an article on Article Accessories that are guaranteed to improve your garden, Read Now and many articles about modern home in our blog this, please read it. and url link of this article is https://eyjamasliza.blogspot.com/2017/01/article-accessories-that-are-guaranteed.html Hopefully discussion articles on could be useful and provide more knowledge for your life and family.